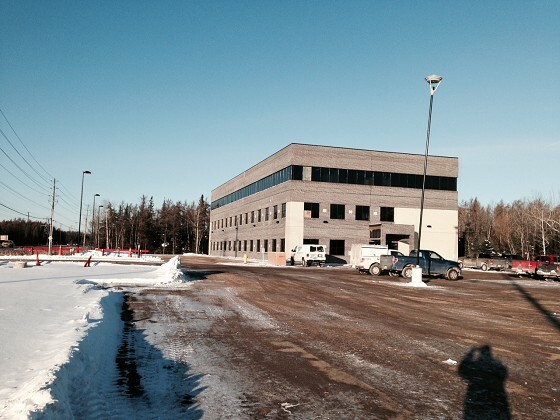 After decades of practicing medicine in the downtown Fort William area the Fort William Family Health Team are moving into a brand new 18,000 square feet office on Golf Links Road immediately adjacent to the Thunder Bay Regional Health Sciences Centre. This team of 17 family physicians is excited about having more space and a better set up of offices to serve their large patient base. Dr Graham Exley is a Family Physician and Associate Lead Physician at the Fort William Family Health Team. He went to the University of Guelph, McMaster University and then came back here for residency for 2 years in family medicine. Jennifer has worked at the Fort William Family Health Team since January 2006 and Graham since August 2009. The clinic was formed in the late 40’s or early 50’s. Today there are 17 family physicians and the clinic has been all primary care for about three years. They also employ 2 nurse practioniers, 3 nurses, 1 dietician and 3 social workers who act as mental health councillors whom provide a variety of services for their patients. The Fort William Family Health Team has easily 10% of the Thunder Bay population as patients and these patients are from everywhere in Thunder Bay. “ Those of us that work here at the Fort William Family Health Team also work at the hospital every single day so we make a stop at the Hospital and office. To work in our group you have to go to the hospital as well. Your family doctor knows you the best of any physician and you feel the most comfortable with them, so having that person care for you during a hospital stay is comforting. It is good for continuity care as well as after you are discharged. We also have partners that deliver babies so being close to the hospital will be very good for them.” said Atwood. Originally the Fort William Family Health Team had Practice Solutions of the Canadian Medical Association tour their space and tell them what was needed. The square footage required was then developed. The medical team then dealt with FORM Architects of Thunder Bay and have been working with Cory Stechyshyn there for 1-and1/2 years. “Today’s physician has become more conscious of the need for a work life balance. It is not sustainable to work the old way and today it is harder to manage a large number of patients that way as people live longer and have more complex problems and more treatments available. There are more tests and screening to do the care of any person today. It is more complicated than 30 years ago.,” said Atwood. 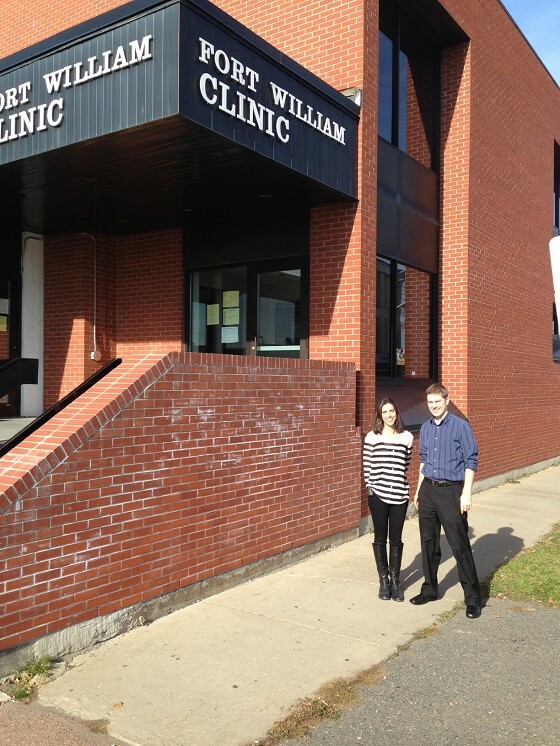 It took a long time for the Fort William Family Health Team to find their new location. “ We looked at many locations prior to this choice. It was a matter of finding the right amount of space with the right amount of parking in an area that was accessible to people on a bus route. We will have a parking fee to enter but no meters. Patient was running out to feed their meters before but won’t have to at the new location. The old space wasn’t really accessible in and out and throughout. The new building will be much more accessible.” said Atwood. “ I’m excited to see the patients reactions to the new space and for us to functions as a team as we want in this new space. It really represents a great step for us and a change in the way we do things. It has been and will continue to be a learning experience.,” said Dr. Graham Exley.